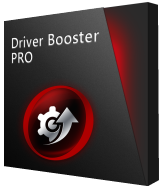 Driver Booster is a driver updating software, created with IObit’s most effective driver update technology. The program scans and identifies outdated drivers automatically, downloads and installs the right updates for you with just ONE click. It restores system and backs up drivers with its Rescue center. It also provides more gaming performance and protects your computer from hardware failures, system crashes and conflicts. Save your time with Driver Booster Pro. Please note: The program includes a 6-months license.